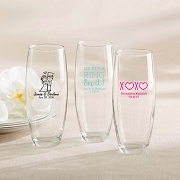 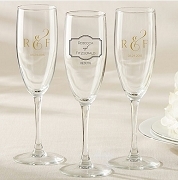 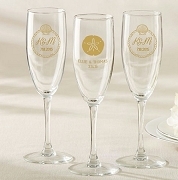 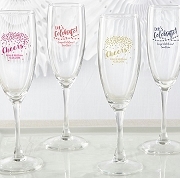 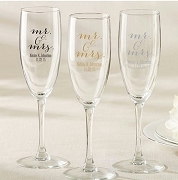 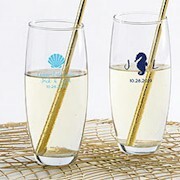 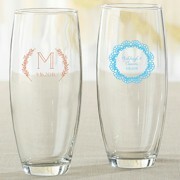 Make your toast in style with our exclusive selection of personalized champagne flutes and champagne glasses. 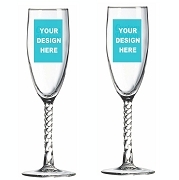 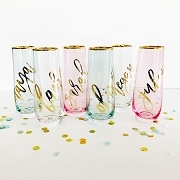 Our custom champagne glasses are available in classic designs or as modern stemless champagne glass favors. 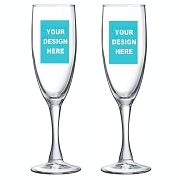 Choose from many unique custom designs to match your event theme. 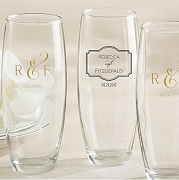 Personalized Stemless Champagne Glass - Mr. & Mrs. 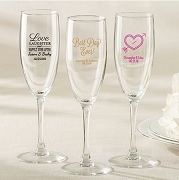 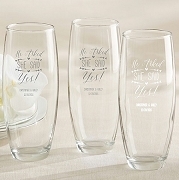 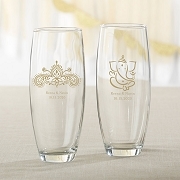 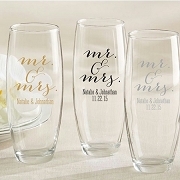 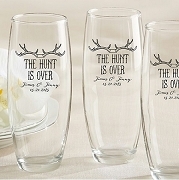 The glasses are great they will be perfect for the wedding guest at parents tables. 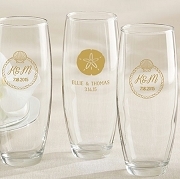 The design and personal touch will make for great keepsakes.